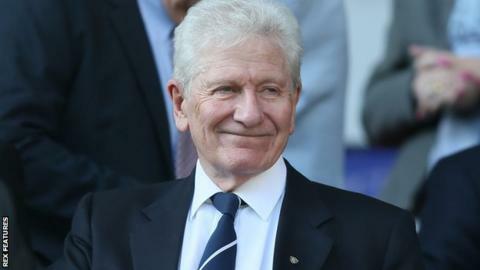 Bolton owner Eddie Davies will not expect repayment of his loans to the club in a bid to ease the takeover process, says advisor Trevor Birch. Davies owns the Championship club through company Burden Leisure PLC, which announced debts of £172.9m in April after losses of £9.1m for 2014. Birch was brought into Bolton to try to assist negotiations in takeover talks. "Eddie will be writing off his loans that currently sit in the accounts," the 57-year-old told the club website. "I wouldn't want to compromise the current negotiations, but Eddie is making it very attractive for an interested party to buy the club. "Sports Shield, a company led by former Bolton striker Dean Holdsworth, have confirmed their interest in taking over. It's understood another former Bolton player Stelios Giannakopoulos has declared he would like to be involved in negotiations for a consortium with North American investors." "I have to say I've heard people talk of the money Eddie has taken from the club in return for his investment, but even taking into account interest received on his loans in the early years Eddie's net 'loss' is approaching £175m - a magnificent commitment as far as I'm concerned." Birch, who was appointed because of chairman Phil Gartside's serious illness, also confirmed any potential new owner would be buying all Bolton's assets including the stadium, training ground, academy and hotel. A number of parties have expressed an interest in buying the club, who are bottom of the Championship, but nobody has yet been granted exclusivity for talks.